Q. 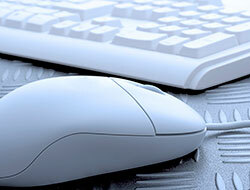 Why should I Test and Tag my electrical equipment? Individuals and the broader community alike are becoming more aware and concerned with safety overall and in recent times, Occupational Health and Safety laws and their enforcement have begun to reflect this. The presence of these regulations protecting employees against company negligence, means that the prosecution of the employer in cases of negligence is much more likely and penalties are harsher than they were in the past. Test and Tagging to AS/NZS 3760 is the minimum requirement under Victorian OH&S legislation. Worksafe Victoria has advised the Victoria Trades Hall Council that they are now “actively enforcing the standard and inspecting all types of premises to confirm introduction of minimum safety testing programs consistent with AS/NZS 3760.” This standard applies to all types of electrical appliance including leads and power boards in offices, factories, etc. A program of preventive maintenance, with regular electrical safety checks incorporating testing and tagging of appliances to AS/NZS 3760, is the simplest and easiest way to avoid these unnecessary and unfortunate accidents, as well as the legal ramifications that can follow. Considering that almost all workplaces have appliances (typically 5-15%) that fail testing when Test and Tagging is introduced, these can be deemed as a failure to comply with Occupational Health and Safety laws as well as pose a risk to your employees and business. Q. What is AS/NZS 3760? This is a document written by a Standards Australia committee with members from a variety of industries related to electrical equipment and safety. The standard specifies the procedures and criteria for the in-service safety inspection and testing of electrical equipment which is designed for connection by a flexible cord. It also applies to extension cord sets, portable outlet devices (powerboards), portable residual current devices (safety switches) and portable isolation transformers. Q. How often do I have to get my equipment tested? Retest frequency is dependent on the environment the appliance is used in and AS/NZS 3760 has clear guidelines for the retest frequency for different environments for general workplaces while AS/NZS 3012 specifies retest intervals for the construction and demolition industries. Every work situation is different and there are often multiple environments in the one workplace. This means that some appliances may need to be retested in as little as 3 months if the surroundings are particularly harsh. However, if the surrounding environment is less detrimental to the appliance itself, retest dates may extend to a period of anywhere up to 5 years. Q. What does Testing and Tagging involve? Visual Inspection: The first test is a visual inspection of the device, and the cords in particular. 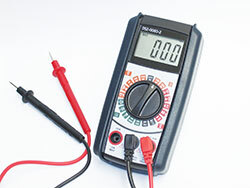 Electrical Testing: The appliance will be connected to a Portable Appliance Tester which will scan the internal circuitry, running a sequence of tests to identify any unseen electrical faults. These tests includes, amongst others, a Bond test and Earth Leakage test. Tags: A safety tag is placed on the appliance verifying its safe approval. For businesses not operating on construction sites, there are non-tag alternatives. Q. Do you repair faulty appliances? We generally limit our repairs to replacing a damaged plug or cord. Repairs of internal components are best left to the manufacturer or one of their agents to ensure that the repair is carried out correctly without compromising the quality or safety of the appliance. Q-Safe can usually assist with organising these repairs. Q. This is another cost to the business. How will the business benefit from it? In ensuring you are complying with the OH&S legislation, Electrical Safety Testing acts much like insurance, protecting you from the costs of litigation and prosecution in the event of an electrical accident. 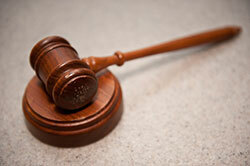 Unlike regular insurance, it also greatly reduces the likelihood of the “insured” event occurring. Imagine car insurance that actually prevents accidents! Considering that faulty electrical equipment is the cause of many electrical fires, having these identified and either repaired or replaced can prevent your business going up in smoke. 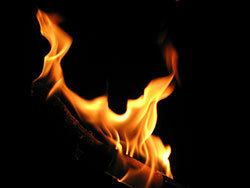 Consider the implications to your business if there was a major fire; would it survive? Although it’s not the main intent of testing and tagging, it is a beneficial side effect. 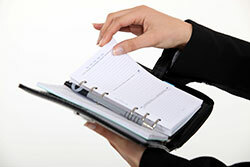 Our standard reports can form part of your asset register. The test tags have both a human-readable and barcode Asset ID to assist you in keeping track of your assets. The tags act as a constant reminder to your employees that you are serious about looking after their health and safety, boosting morale and productivity. Q. 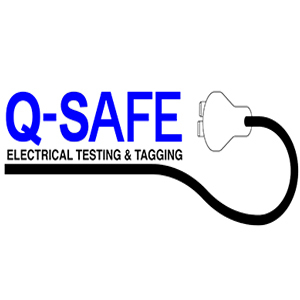 Do we need to do anything to prepare for Q-Safe Electrical Testing and Tagging to test and tag? We suggest that you direct your staff to have a quick look at our website at www.q-safe.com.au so they have an understanding of the testing process. Staff should be made aware that they will need to shut down their computers (excluding laptops) and other mains-powered equipment for about 5 minutes each whilst the technician inspects and tests them. You also need to ensure that the technician will have easy access to all items which need to be tested. If heavy furniture or equipment needs to be moved, please have someone available to do this. If the equipment is used in a dirty environment, ensure it is reasonably clean as grease and dirt will hamper the visual inspection. Regular cleaning of equipment will also help keep them serviceable for longer and should be part of your regular maintenance. Old equipment that is to be disposed of or used for recycling should be placed in a quarantine area so it is not available for testing or inadvertently put into service. Check all the necessary details from our Frequently asked Question section.